Photos taken in London and nearby. 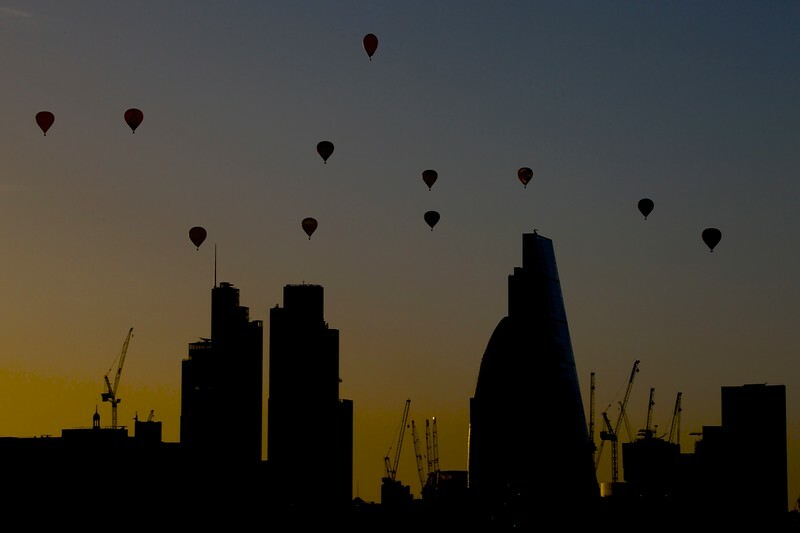 Dawn Flight: 50 hot air balloons flew over the City of London at sunrise on Sunday June 7 2015. The Lord Mayor’s Appeal Balloon Regatta launched from Shoreditch north of the Thames and flew south across the City to raise awareness and funds for the appeal. Each balloon stood almost one hundred feet tall and sailed across the City in perfect weather. 2015 also sees the 50th anniversary of the British Balloon and Airship Club. The last mass ascent balloon flight over London was over 20 years ago.